Heading out to California for winter break? Great choice! There is so much to do and see in the Golden State, it will take you a lifetime to do and see it all. I've lived here for over 20 years, and I'm discovering new things all the time. If you're spending winter break in California, you probably already know where you're going... but you may not know exactly what you'll be doing. 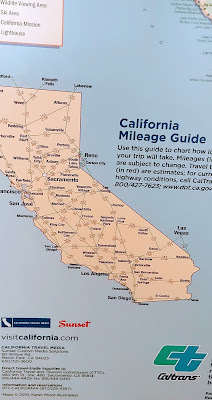 There's no shortage of "Things to Do in CA" articles and blogs and websites. It's difficult to know where to begin! One resource I've found invaluable is the VisitCalifornia.com website. Visit California is a non-profit organization dedicated to promoting California as a tourism destination. You can find tons of suggestions for things to do in California on their website. If you prefer to do your travel research on the sofa instead of in front of a computer, you can order a free visitors guide, a glossy publication filled with stunning photographs that will make you want to book travel arrangements on the spot. The Buena Park center is actually a tourist destination in it's own right. 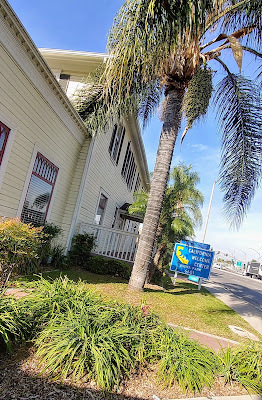 It's located in the historic Stage Stop Hotel. Built in 1890, the hotel was once a popular overnight rest stop for stagecoach travelers. The front parlor of the hotel has been preserved so visitors can see what comforts greeted weary travelers over a century ago. Each California Welcome Center is staffed with local travel experts with local knowledge. They can give you the insider scoop on where to eat, where to park, what time rush hour is, and other tidbits that can make or break your day. 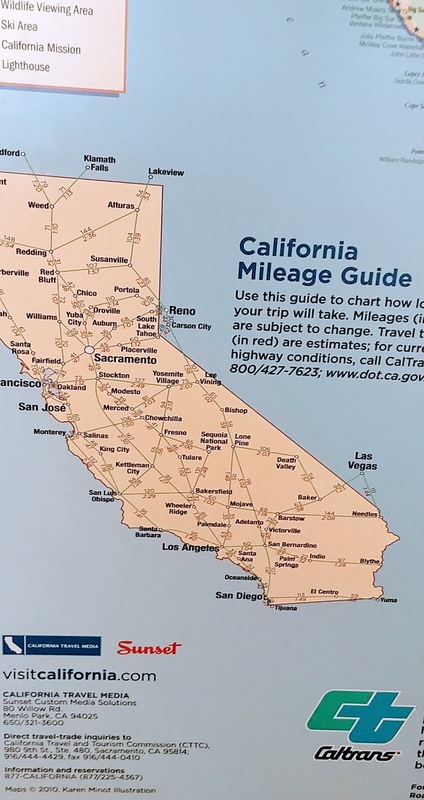 You can pick up maps, guidebooks and brochures to attractions throughout California. The center sells discounted tickets to local attractions, so you save money. The staff at the center can give you advice on which attractions best fit your time, budget, and preferences. Plus, there are no long lines, so you save time! Here's a great money-saving tip if you're planning a visit to Disneyland: buy souvenirs for your kids at the California Welcome Center in Buena Park! 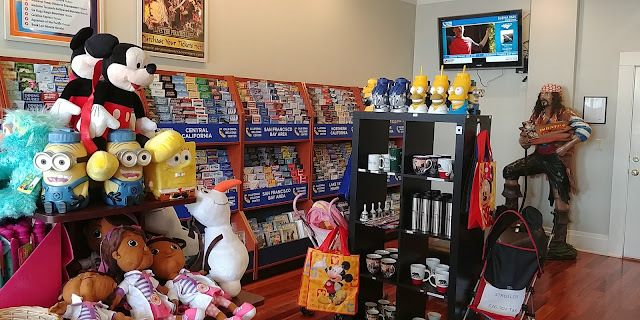 They have great Disney souvenirs (as well as Knott's Berry Farm and Universal Studios souvenirs) for great prices. 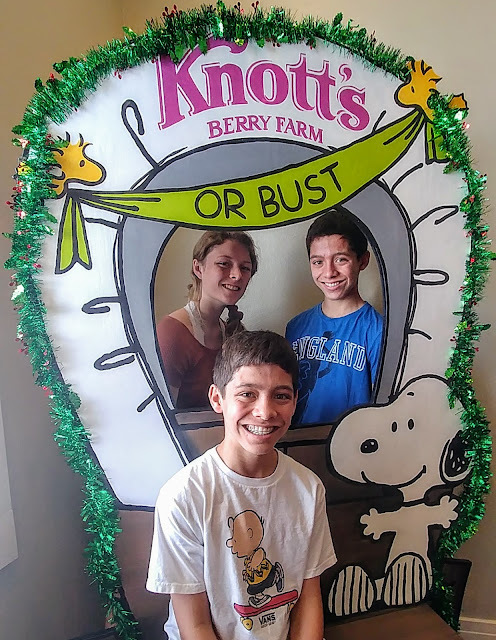 Here's a bonus reason to visit the California Welcome Center in Buena Park: this adorable Knott's Berry Farm photo prop! The kids had a blast posing with Snoopy -- without having to deal with crowds -- before we headed out to Knott's Berry Farm.